Need a slate roof for your new house ? If you need a quote for a slate roofing Melbourne project, supplied and installed, for a new home or re-roof, contact us: 0403022137. We are roof slating specialists with more than 35 years continuous experience in the new housing industry. Since the early 80’s we’ve dealt with owner builders, professional builders, architects and large construction companies…. we can help you too. 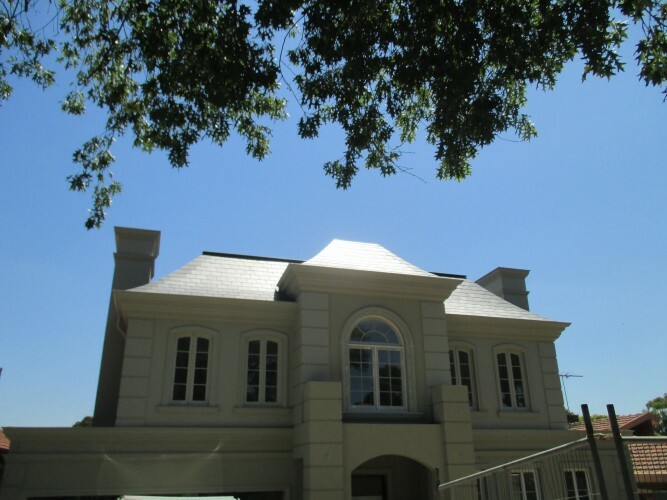 Our long record in the industry has seen us involved with all types and styles of new home and commercial slate roofing Melbourne installations. We’d be happy to provide you with an obligation free quote to supply and install guaranteed quality slate roof tiles and expert installation to your project. If you need assistance with choosing a slate best suited to the needs of your project, we can offer you our no strings attached advice and guidance. Just like buying a car, you really do get what you pay for. Pay a little extra for quality and get the peace of mind that comes with it. As with most other things that bit extra paid for initially usually ends up being much more cost effective over the long term. Quality slate roofing is no exception. Our guaranteed top quality roof slate – When you choose this option, we can offer you a roofing slate tile that’s guaranteed to perform problem free for 100 years. Add to this our 50 year installation warranty and you can virtually be assured a long lasting and trouble free roof. What does this slate tile guarantee mean ? It means that unlike other roofing slate used around Melbourne, this slate will never rust, delaminate, fade or go soft and water absorbent . It will never leak and will stay the exact same color that it is when first installed. 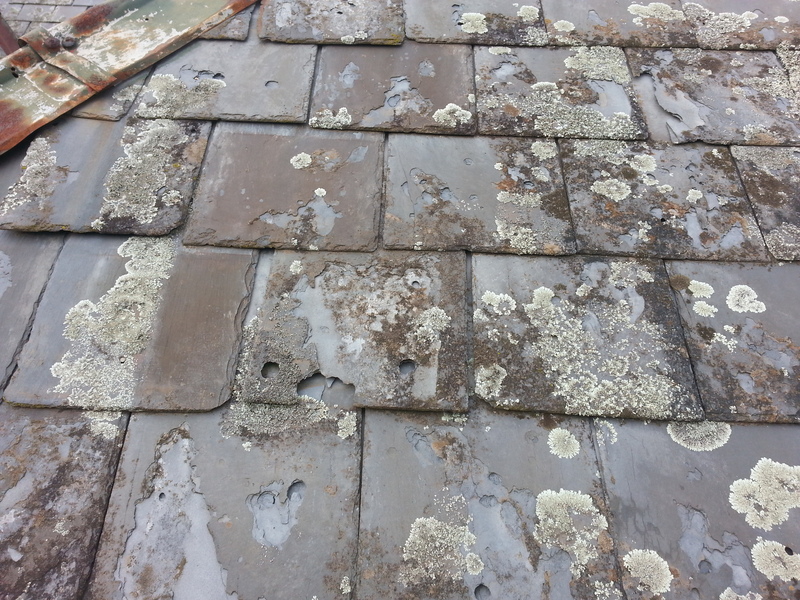 Poor quality slate can and often does show these undesirable traits in sometimes only a few short years. 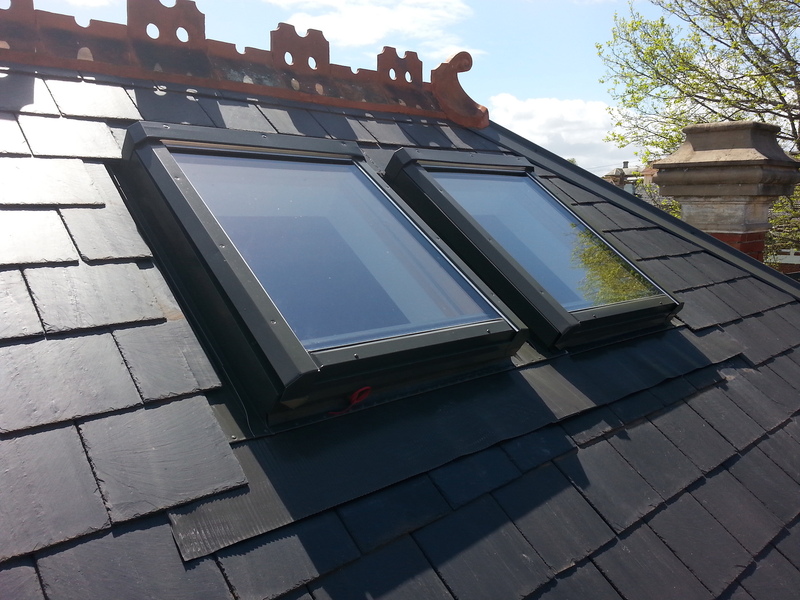 Our 50 year installation warranty – With the premier slate service also comes our top of the range installations. How can we offer this long term warranty ? What does this mean to you exactly ? For starters, unlike other Melbourne slate company’s, our roofers are full time qualified roof slaters. They aren’t roof tilers or laborers or roofing plumbers who sometimes do a bit of slate roofing when the need arises or they have no other jobs on at the time. Our installers are slate roofing Melbourne specialists who work continuously on slate roofs day in day out. 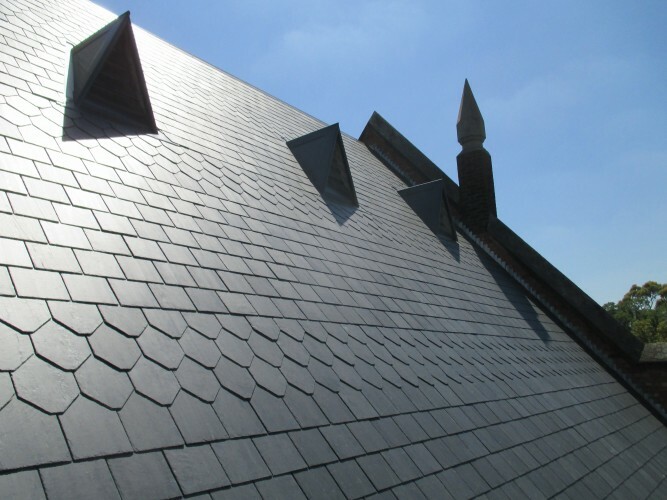 Many of our slate roofers have in excess of 10 years continuous slate roofing experience. I myself began in 1979. It takes many years of practical hands on experience, most preferably under the guidance of a master slate roofer, to get a nice tight flat sitting slate roof. What this means to you is the roof not only looks good, but it also performs and functions perfectly. No more concerns about unexpected leaking during times of heavy and or consistent rain. 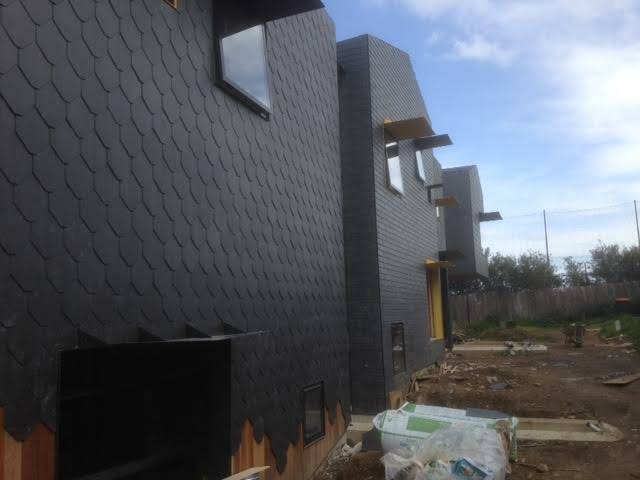 When strong winds are lashing your house no need to worry about loose slates or flashings flying off due to inferior fixings methods. 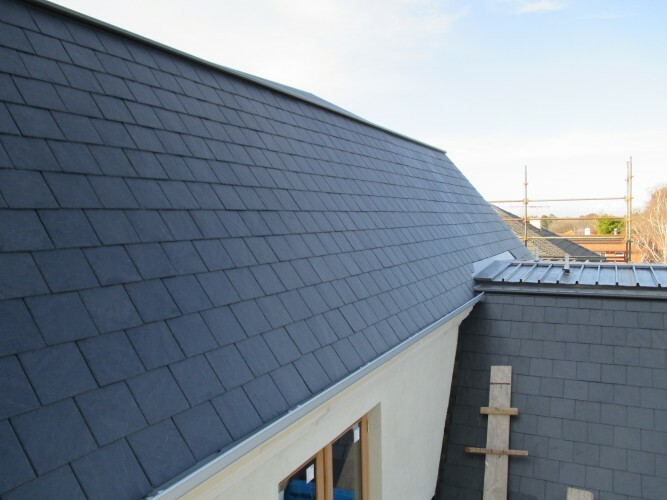 Our installations are by true slate only specialist roofers. Our business has been at the same address for 32 years – Unfortunately the roofing, and building industry in particular, attracts all kinds of contractors who sound good and make all kinds of promises – but are here today and gone tomorrow. Being at the same place for over 30 years we can be ruled out as one of those roofing company’s that’d take a deposit or not finish your project or be uncontactable if you need us. You’ll always be able to find us if you need to. We supply our own scaffolding – If needed, for all our slate roofing Melbourne installations we have and use our own scaffolding to meet OH&S criteria. This means of course that you don’t need to provide it and we don’t need to hire it from a third party. Unlike other Melbourne slate roof company’s, the benefit here of course is that we’re not under any time restrictions. There’s no concerns about getting the roof done as quickly as possible so as not to go over hire time and being charged extra rates. These extra rates charged by scaffold hire company’s can and often do add up to be considerable extra amounts which other roofing company’s often pass onto the owner or builder. With our own scaffold we can do the roof properly with no need to cut corners to save a bit of time. Another benefit is that we can set the scaffold up to suit our needs perfectly and to cause minimal disruption to other trades and services. By having the scaffold set up perfectly it’s also great peace of mind for both of us should an inspector from the Occupational Health and Safety board make a visit. Plumbing for our slate roofing Melbourne services – To make your life easier, and yes, also to make our installations run more efficiently and smoother, we have a small team of dedicated roof plumbers. How does this benefit your project ? Being a bit of a specialized field, most roof plumbers are unfamiliar with the flashings required and how they’re installed in slate roofs. Our roof plumbers are experienced with slate roof installations and with the assistance of our slaters install all flashings needed as the roof progresses. This not only saves everyone time, but when done by us, it’s guaranteed to be done properly and is included in your warranty. Along with our premier slate roofing option we do have other more budget friendly options. Roofing slate comes in varying degrees of quality and characteristics. Some I would class as excellent and first class as in the option above, and others can be suitable and serve a purpose. 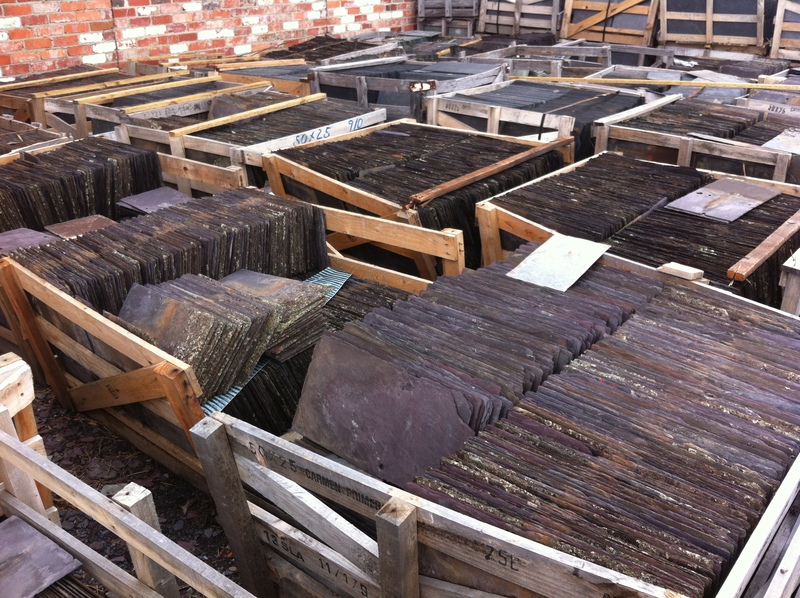 All the slate we use is of a good quality – just some is a little cheaper due to differing points. If you’re looking for a really cheap slate option which is almost certainly poor quality with a short lifespan, then we aren’t the company for you. The owners of this home chose our premier installation service.